Did you know that there are more deaths and injuries in warehouses than in any other work environment? Does your warehouse meet all required fire safety codes, both local and OSHA? Not only does meeting all required fire code standards increase the safety of your warehouse, but it can also help you avoid potentially serious fines. 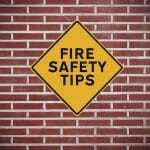 Become familiar with the local fire codes and then hire a professional who can audit your facility and tell you what you need to add or replace. Find a specialist with a background in your industry so they can make recommendations based on the codes that apply to you. What kinds of requirements do I have to follow? Warehouses of all sizes must have an automated sprinkler system. There is a minimum space required between storage (e.g., pallets) and sprinklers. Aisles that result in a dead end at a wall have a maximum length. For material stored in unconfined piles, there must be an aisle every few feet. Restrictions about smoking, including designated locations and signage. Propane fuel tanks and aerosol containers must meet specific requirements. Plastics have many storage and packaging requirements. Anything that falls into the hazardous material category (e.g., gasses, explosives, flammable liquids) has substantial storage and fire protection requirements. How do I protect workers? 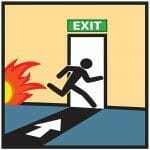 When properly addressed, precautionary measures can prevent injury and fatalities in the event of a fire. Call Fire Control Systems today for a fire protection inspection or to find out how to maximize your existing level of fire protection.